On January 15th 1996 Oasis played at the PC69 Club in Biefield, Germany. Listen to a bootleg of the gig in the link below. On January 15th 1998 Noel Gallagher appeared on 'Much Music' in Canada, he spoke about a number of various subjects and played an acoustic version of 'Stand By Me'. 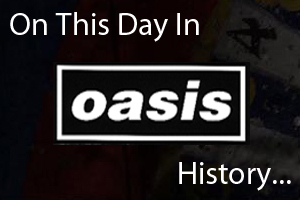 On January 15th 2009 Oasis played at the Messehalle in Dresden, Germany.